If we had to speculate right now whether cows or cars were worse for the planet, it should be a no-brainer, right – cars would be far worse? Images of gridlocked highways with sooty exhausts pumping out carbon dioxide come to mind. It would be hard not to admit that our personal vehicles are a major cause of global warming and helping to crank up the temperatures on planet earth. However, according to a United Nations report and growing consensus from scientific studies around the world, the greatest threat to the environment now comes from an unlikely source – the world’s multiplying herds of cattle. The problem is that livestock contributes a surprisingly large amount of methane to the atmosphere. Methane is the second-most prevalent greenhouse gas, and plays an important part in global warming. Methane is also more than 20 times more powerful than the carbon dioxide produced by cars. Even though there is more carbon dioxide in the atmosphere, methane traps more heat from the sun, meaning it contributes far more to greenhouse gases and global warming. To understand how cows produce methane, it’s important to know a bit more about their digestive system. Cows, goats, sheep and several other animals collectively called ruminants, have four stomachs and digest their food in their stomachs instead of in their intestines. Ruminants eat food, regurgitate it as cud and eat it again. Their stomachs are filled with bacteria that aid in digestion, but also produce methane. 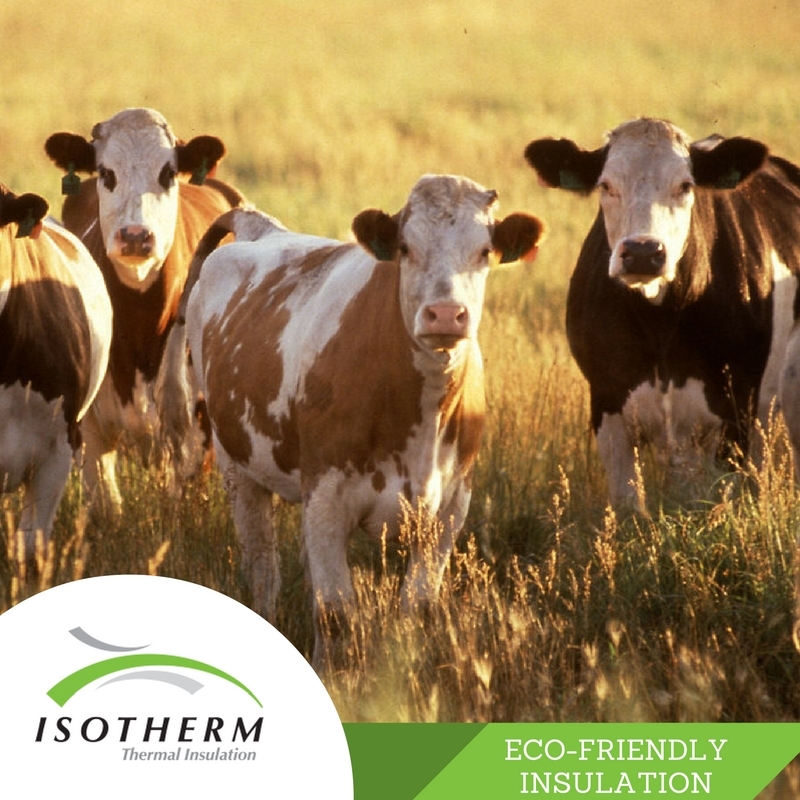 The startling fact is that the average cow’s slow digestive process produces enough methane per year to cause the same greenhouse damage to the environment as four tons of CO2! If that figure is multiplied by the planet’s approximately 1.5 billion cattle and buffalo and countless other smaller ruminants; you have the methane equivalent of two billion tons of CO2 per year. The average car, by contrast, produces just 2.7 tons annually, and while there are about 1 billion cars on the planet, that’s still less than the combined effect of the rearing and production of farm animals. The unavoidable fact is that livestock is responsible for 18 per cent of the greenhouse gases that cause global warming; more than cars, planes and all other forms of transport put together. The scales swing even more in favour of cows being worse for the planet than cars when we factor in all the other environmental issues caused by the production of livestock. More than two-thirds of the world’s emissions of ammonia, one of the main causes of acid rain, are another one of the polluting gases emitted by cows. Clearing of land for ranching causes worldwide deforestation, and overgrazing is rapidly turning pastures into wasteland. Cows also use up huge amounts of water: it takes an incredible 990 litres of water to produce one litre of milk. Not only that, fertilisers used to grow their feed get into the water table, over-nourishing the water and causing choking weeds to develop. Not to mention the pesticides, antibiotics and hormones used to treat cows, which get into drinking water and also endanger human health. The problem is that as the demand for meat and dairy products increases, so too will there be massive damage done to the environment. A report by the Food and Agricultural Organisation, entitled Livestock’s Long Shadow, concludes that, unless drastic changes are made, the massive damage done by livestock will more than double by 2050, as demand for meat and dairy products increases. Besides making sure our vehicles’ emissions are eco-friendly, possibly the best remedy to reduce our individual carbon footprints, would be to eat much less red meat. Avoiding excessive meat consumption, especially beef, is good for the environment, but likely to be unpopular with consumers. All things considered, a possible first prize would go to achieving the objective of feeding our cows a healthier diet, one that is less likely to cause methane and where they are treated better; where the environment is protected and we are all healthier as a result. It is a profound thought that by changing the way we feed farm animals and what we ourselves eat, we have the potential to make a big difference to the environment. We too can be a part of protecting the green planet we live on and being part of a vision of the future which is a green one.